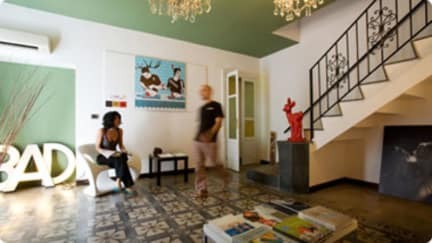 BAD is the first Design Bed&Breakfast in Catania - is in the beating heart of the city: in a XIX century building, next to the historical fish market (the Pescheria), within a stone's throw from the Cathedral and the main monuments of the town. Here you will have a peaceful sleep among graphic, illustration, photography, design works and other pieces of modern art. Moreover Bad is few minutes away from the airport, from the train station and from the harbour, it is 100 meters from a bus station which connects to the main Sicilian resorts. The b&b has only 4 bedrooms. Each of them represents a mood, a colour, a feeling: from two to three beds, with private WC and, obviously, every kind of comfort. 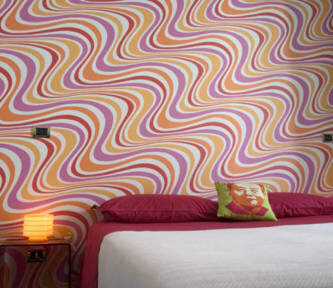 There are double rooms but we can offer you an extra bed to get a triple room,It's just 20 euro more.